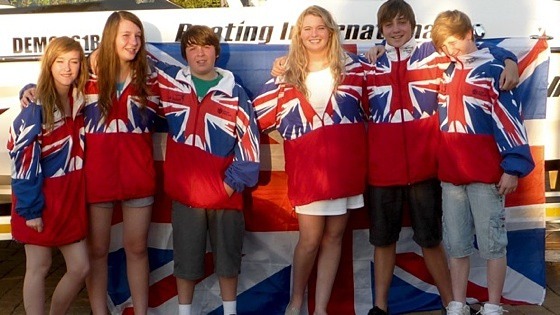 [Press Release: 24/Aug/2012, LONDON] Team GB has been performing very well in Kiev, in the qualifying stages of the IWWF/EA - Wakeboard and WakeskateChampionships 2012. Maybe the recent London 2012 Olympics has given our athletes that extra push to excel even more at the sport they love. Wakeboard UK is proud to take the team out to the Ukraine and wish all the riders best of luck in the competiiton. In the Junior Ladies division Megan Barker won her heat to progress into the finals this Sunday, whilst Nancy Creedy competed in the qualifying and LCQ heats but sadly failed to progress further. In Wakeskate Ollie Moore won his heat to move into the final which is being held on Saturday 25 August 2012. Sam Carne also won his heat in Open Men qualifying so rides on Saturday in the semi finals. Continuing the heat winning theme Charlotte Bryant won her qualifying heat so moves into Sunday's finals. An amazing start for Team GB in qualifying rounds, well done to our riders and we'll be cheering on from the UK tomorrow and Sunday.